Hadfield Roofing and Cladding Ltd contacted us in August 2017 to price some flat to pitch work on a local Yorkshire college. 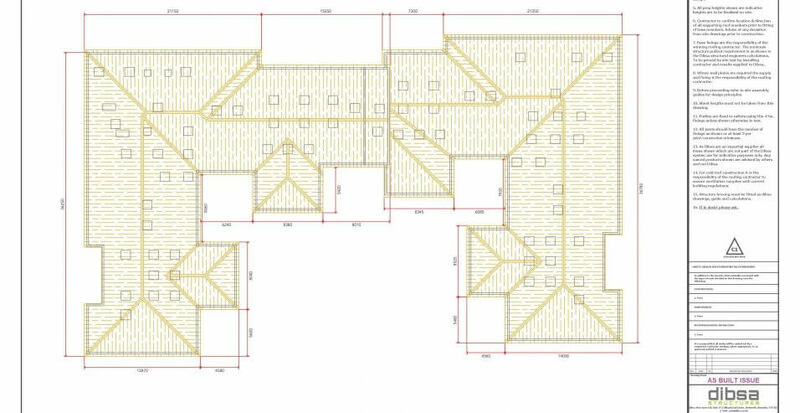 Quite a complex shaped roof with a slight slope already existing and many rooflights and protrusions. Working closely with Hadfield’s and our Structural Engineer there were some structural obstacles that we had to work together to overcome. The clients’ team had some concerns over the existing roof structure. 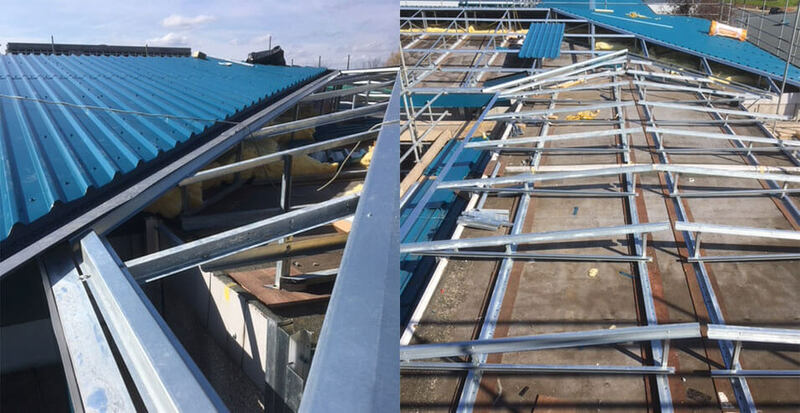 As a precautionary measure we had straps designed into our structure around the perimeter of the building securing the new Dibsa roof structure not only to the existing roof deck but also down the walls of the existing building which were then cladded over. This small precautionary measure ensured that all parties concerned were delighted with the proposal and the Dibsa flat to pitch conversion was able to proceed. 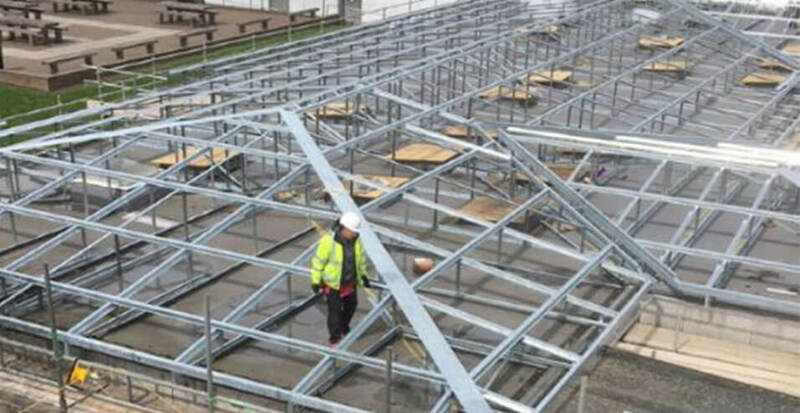 The finished design consisted of 12 valleys and 15 hips which were expertly installed by the fantastic team at Hadfield’s who were conscientious and precise installing the Dibsa lightweight steel structure with confidence and ease. There have been a couple of other roofs installed on the same site following this initial complex project and each has progressed well. The finished buildings look exceptional and all credit to Hadfields who we would not hesitate to recommend for any flat to pitch, roof covering or wall cladding project.